For new dialogues we must abandon prejudice, withhold judgement, explore adjacencies…while the world rushes in. Western Europe is currently in the midst of an unavoidable paradigm shift. An increasingly aging population means more patients, a proportional rise in chronic diseases, and increased demand for constant medical care. The medical treatments that such diseases require, however, rely only partly (if at all) on the current hospital of clinical medicine (the workhorse of the early welfare state). At the same time, more and more treatments (e.g., immune therapies, hemodialysis, etc.) are becoming more costly, driving particular hospitals that are essential for the provision of primary care out of the market. Health care systems based on the theoretical uniformity of the welfare state will soon be unaffordable for societies like those in Western Europe. Further, the simultaneous demographic change will redistribute the population, transforming the current urban landscape. 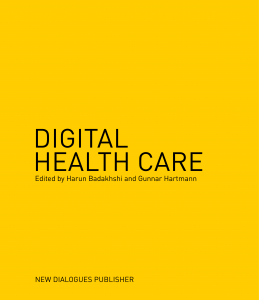 Existing healthcare systems rely on the logic of centralized organisation, but in an increasingly polycentric urbanisation, tomorrow’s networks will necessarily be decentralized, distributing primary care and medical services to multiple centers. This immediate future challenge is leading policymakers to question a wide variety of values and assumptions currently in place regarding the role of patients, doctors, and care providers. In effect, the current health care infrastructure must be rethought—above all in its spatial organisation. Clinical medicine refers to patient-related medicine instead of theoretical medicine that is part of basic clinical research. “The prices for medical services rise more slowly (0.2-1.5%) than the costs incurred (2.5-3.5%). […] Unfortunately, those hospitals driven out of the market were not those that needed to be closed, but those hospitals and clinics that happened to be under bad leadership.” Karl Max Einhäupl, “Bis alle Kliniken insolvent sind,” Handelsblatt, no. 24 (February 4, 2015): 4–5. (Author’s translation.) Einhäupl is the head of the Charité – University Hospital Berlin. “A patient-centered model in medicine leads to patient-oriented research, which focuses on the individualization of results. Thus, treatment effectiveness is assessed by comparing subgroups of patients to individual patients. The goal is to identify which treatment options are more effective for which patient.” Harun Badakhshi, “Patient-oriented medicine, an urge?” talk presented at the Symposium for Health & Design, Villa Vigoni, Italy, 2013. “While patient-centered care favors shared decision-making, patient-oriented research emphasizes outcome evaluation. Doctors evaluate patients and their disease through analyses of heterogeneity (subgroups identified a priori) and disaggregation, the study of differences.” Ibid.